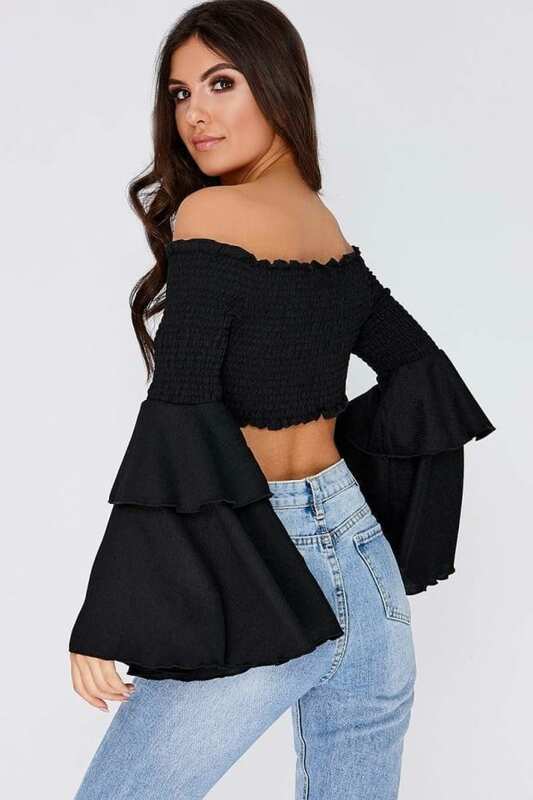 Girl this sass black crop is a spring essential! 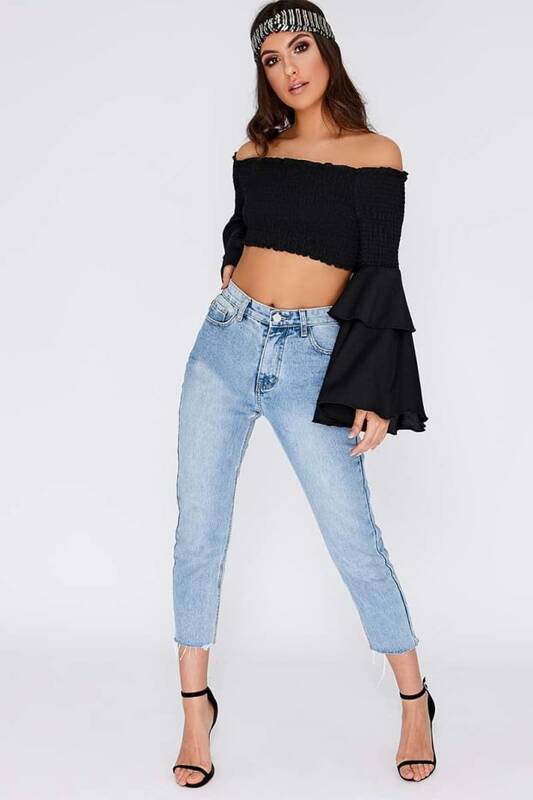 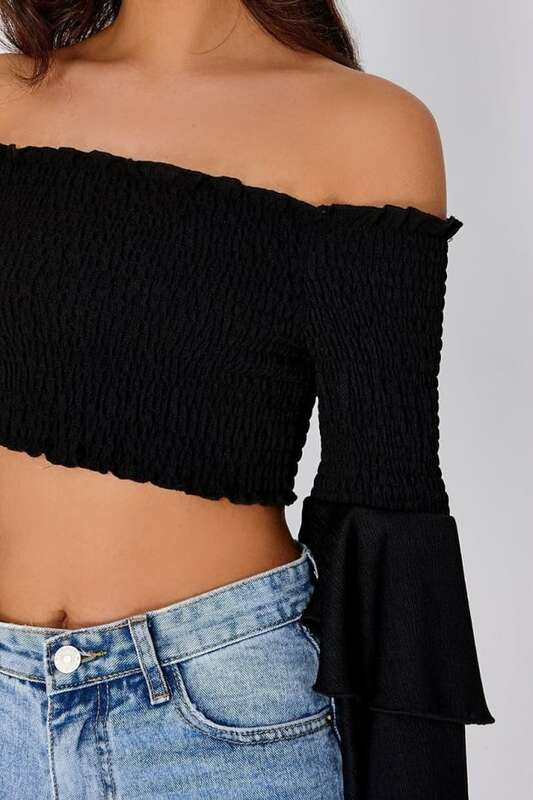 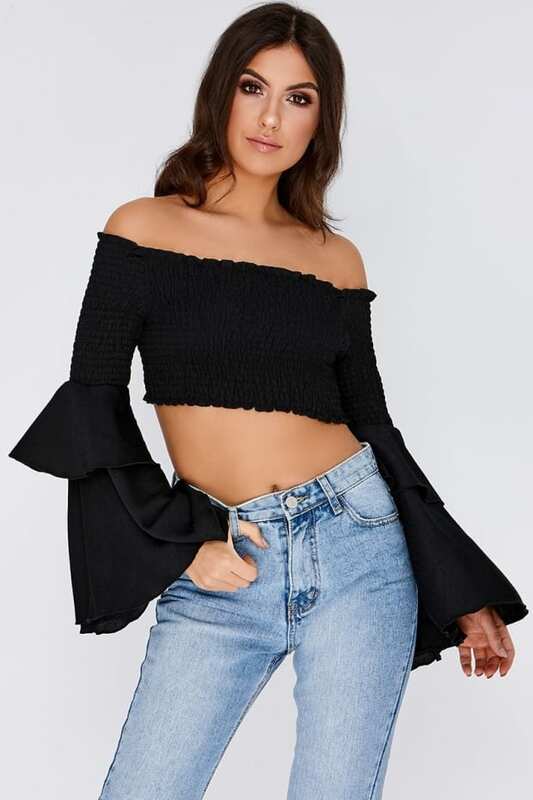 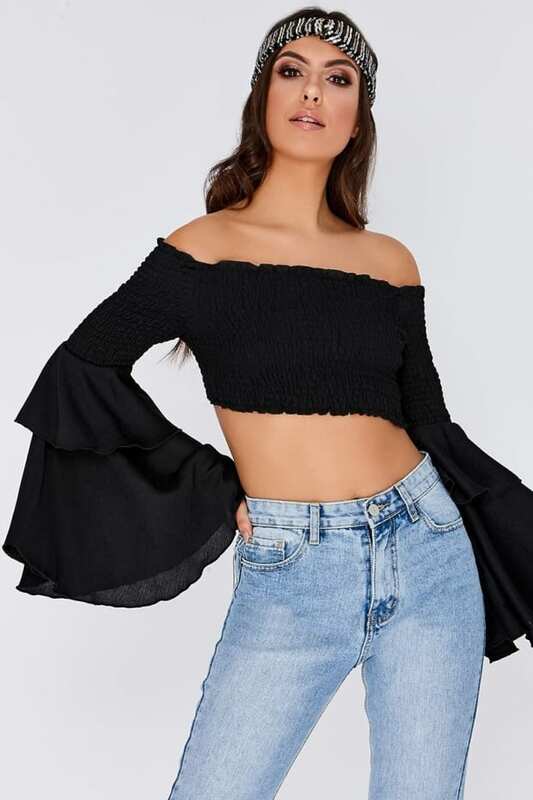 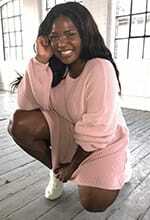 Guaranteed to get you noticed, this cute little crop featuring a chic bardot neckline, long frill layered sleeves and shirring detail. 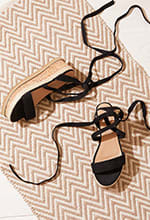 Team it up with skinny jeans and heels or shorts and wedges for an ultra feminine new season look.